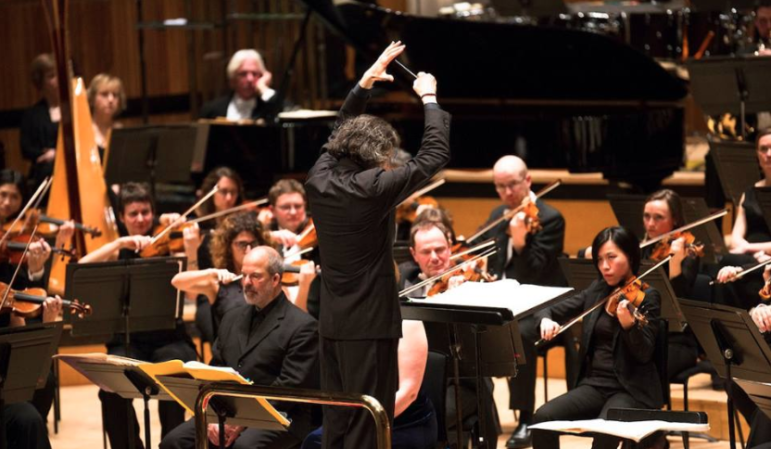 The London Philharmonic Orchestra will perform at the Palace Theatre in Stamford on Tuesday evening, April 16 in honor of Greenwich resident Lloyd Hull. Founded in 1932, the orchestra performs regularly around the United Kingdom and throughout Europe and Asia as well as in the United States. The group broadcasts regularly on television and radio and records soundtracks for films. Conducted by Edward Gardner, with violin solos by James Ehnes, the Tuesday performance will feature Beethoven’s Egmont Overture, Sibelius’ Violin Concerto and Mahler’s Symphony No. 1. Victoria Hull Robey, chairman of the London Philharmonic, has arranged the concert to honor the life of her father, Lloyd Hull, a Greenwich attorney who was extremely active in Greenwich town affairs. Hull served on the Greenwich Representative Town Meeting for 42 years as well as on many committees. Victoria; her sister, Lisa Weicker; and her brother, Robert Hull, were born and grew up in Greenwich. A portion of the proceeds will go to the Greenwich-based Young Artists Philharmonic. Lady Robey has been honored in England for having founded the London Music Masters in 2007 which has provided several thousand British children with violins, instruction and opportunities for the performance of classical music. What if silence had a sound? That’s how Mahler begins his First Symphony; with a sound so still and deep that you feel it rather than hear it. And gradually – from bird calls and folksongs, daydreams and trumpet calls – he creates a wondrous new musical world. By turns playful and tragic, epic and intimate, it’s become one of the best-loved of 19th-century symphonies, just as Sibelius’s Violin Concerto has come to embody the soul of the Finnish nation. With Edward Gardner conducting the renowned London Philharmonic Orchestra, and the superb James Ehnes on violin, you’ll hear new poetry in even the most familiar music. Victoria’s husband, Sir Simon Robey, was also Chair of the Royal Opera house until very recently and holds many leadership positions in the London music world. There will be a gala before the concert and during the intermission with food, drink and merriment. Standard priced tickets are available by contacting the Palace Theater at 203-325-4466 or online.